Prime Minister Theresa May has said she wants the UK free from the court in the long-term, but is prepared to accept its jurisdiction during a two-year so-called Brexit “transition period”. 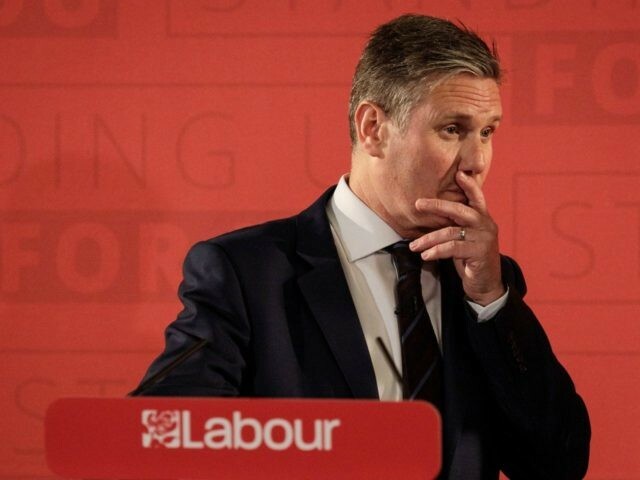 Sir Keir, however, suggested Labour would be willing to agree to the ECJ keeping influence over the UK long into the future. He told BBC Radio 4’s Today programme: “I think the jurisdiction would have to change but to rule it out altogether does mean effective[ly]… that it is very difficult to stay in some of the important agencies that we are currently part of. “The prime minister simply said, ‘I will have nothing whatsoever to do with the court in any circumstances’ rather than saying ‘look, the role may have to change, let’s be grown up and sensible about what it might be’. Theresa May pledged to “bring an end to the jurisdiction of the European Court of Justice in Britain” in January during her flagship Brexit speech at Lancaster House. But Sir Keir said the “longer term relationship” with the court “is a matter of negotiation” and that the prime minister made a “mistake” by setting out “such a heavy red line”. He rejected the claim that maintaining the court’s influence in the UK could be seen as a betrayal of Labour voters who backed Leave. He also refused to be drawn on whether Labour would back a second EU referendum in the event of a no deal Brexit. He added: “There will be a real crisis of confidence, a constitutional disturbance, and probably all sorts of emergency legislation and that is why we shouldn’t casualise ‘no deal’.